Just arrived in Israel and ran to kick the jet lag. 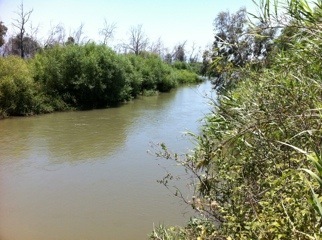 Started at Tabgha on the shore of Galilee where Jesus multiplied loaves and fish. Then the Primacy of Peter Church where Jesus appointed Peter shepherd of his flock – the Church. Then to a cave where some day Jesus prayed overlooking the sea. Then off again to a rock commemorating the place where Jesus healed the woman with an issue of blood (Mark 5:24). 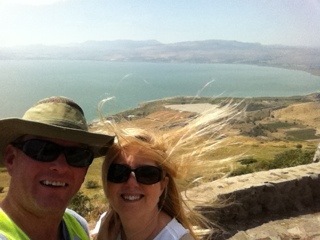 Then to Capernaum where A LOT happened. Hot and still weary from the long flight. 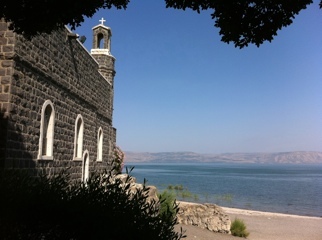 Just posted a Running trip, “2011-05-22 Tabgha to Capernaum Israel”, to @EveryTrail. Check it out here: To Capernaum. Today is hot but I had goals in mind. I started at Capernaum, where I left off yesterday, and ran over 8 miles to the ruins of Bethsaida where Peter, Andrew and Philip were born. 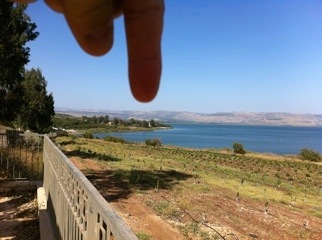 I hope to eventually run all around the Sea of Galilee in segments. Today I visited the Greek Orthodox Church of Capernaum, crossed the Jordan River, ran paths and thru areas frequented by Jesus and the Apostles before exploring Bethsaida. 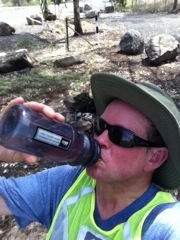 Just posted a Running trip, “2011-05-22 Tabgha to Capernaum Israel”, to @EveryTrail. Check it out here: Galilee Run. Its May 22. I just woke up in Israel. The world has not come to an end the mythical Rapture did not happen. Birds are singing, fish are jumping and I’m going to Mass. Jesus will come again when the Father is ready.